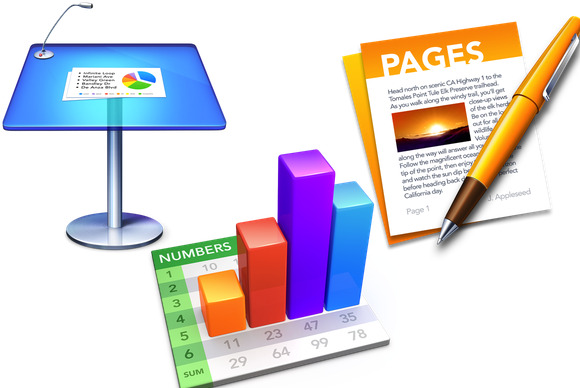 With the much-anticipated release of the new iWork, Apple has introduced the first major update to its office suite in nearly four years, with a focus on bringing feature parity between the desktop, mobile, and Web-based versions of Pages, Numbers, and Keynote. In order to do so, however, the company ended up removing a large number of features from the OS X edition of the suite, with both Pages and Numbers boasting fewer capabilities and a general lack of support for automation and scripting. As was to be expected, the reaction from across the Web has been generally negative—and not just from power users who put a premium on being able to integrate iWork in complex workflows. For example, an ongoing thread on Apple’s support forums lists nearly two dozen features that have gone missing in Pages—everything from advanced search-and-replace to the ability to customize Pages’s toolbar are listed, with one user going as far as claiming that a simple performance update to the old version would have been a better choice. Among power users, the biggest concerns seem to be centered around a significant loss of scripting functionality in the new iWork apps. Michael Tsai, developer of the popular SpamSieve spam filter, notes on his blog that Numbers no longer even has an AppleScript dictionary, while most of the automation features of Pages are gone.